Personal finance may be the most important topic typically not taught in school. And where it is being taught, there are mixed results. The main problem seems to be a lack of practicality—lectures and simulations will only get you so far. As I thought about those findings from several studies, I was reminded of something I had read in Mary Hunt’s book, Raising Financially Confident Kids, which I highly recommend (Mary also runs the Debt-Proof Living web site and writes the Everyday Cheapskate blog). In the book, she tells the story of “Uncle Harvey.” Harvey lived far away and was a bit older. While they hardly ever saw him, when Mary and her husband, Harold, were raising their two boys, the legend of Uncle Harvey loomed large. They had heard that at the start of each year, Harvey would sit down with his family and hand out a year’s worth of money to each of his and his wife’s four boys. The money was for clothing, snacks, entertainment, haircuts—everything but food and shelter. It was up to them to make it last. If they ran out of money before they ran out of year, too bad. And, the Hunts heard, each of Harvey’s kids grew up to be very good money managers. It prompted Mary and Harold to give it a try with their boys. In her book, she explains how they rolled the plan out with their kids, some of the early fits and starts, and how it all turned out. It made me want to try it with our kids, ages 9, 11, and 14. We’ve long given them an allowance and have been pleased with the habits they’ve built around generosity, saving, and spending. But now it was time to take it up a notch, and Mary’s book gave us just the idea we needed. We decided to give our kids most of what we typically spend on them for clothing each year, one month at a time. They keep the money in an envelope. Each month, we add $25 to each envelope, and they record the inflow and expenditures on the outside of the envelope. It’s already proven to be a powerful teaching tool. I took our 11-year-old son and 9-year-old daughter to Old Navy recently. My daughter was in search of some jeans. 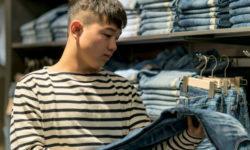 My son said he didn’t really need anything (he cares about his clothing—almost the polar opposite of his older brother—so I confess that I wondered whether he could really go to a clothing store and not buy anything). After trying on several pair of jeans, our daughter decided on one pair that was being offered on a nice discount. Then we headed over to the deep discount rack where she found two tops for about $2 each. At that point, our son said he wanted to buy something after all. I reminded him that he had said he didn’t need anything. But he insisted that he could use a new sweatshirt. Then he picked one out that was 30% off, but still seemed kind of expensive to me and looked a lot like one he already owns. Still, I backed off, wanting him to make his own decisions. I figured, if he later regretted the purchase, that’s part of what this is all about. I can’t fully put into words the fascination and joy I experienced as I watched each one navigate this process. They were clearly thinking and making decisions about purchases in a way that was new to them. Of course, they’ve made purchases before, but there was something very different about this. I guess it’s that they’re taking responsibility for a new financial category. They’ve certainly been with us as we’ve shopped for clothes for them and have helped pick out what they wanted. But this time they were much more in charge. Seeing them hand over cash and take responsibility for their clothing budget is very different than us buying the clothing with a credit card and managing a “kids clothing” budget on their behalf. I may be just a little too into this whole financial teaching thing, but honestly, watching them approach the cashier holding the clothing they planned to buy in one hand and clutching their envelope with cash in the other actually brought tears to my eyes. I’m really excited about this next phase of their financial education. It’s filled with potential to teach them in very real, practical ways what it means to make trade-offs, patiently save to buy a special article of clothing, manage a budget, figure out how to stretch their money, and so much more. I highly recommend it, along with Mary’s book, which will give you more details on this process. If you have kids, where are some of the ways you have made money management real for them? Matt – I love this! Thank you for sharing it as I feel deeply about children yearning to learn about earning-saving-giving-spending earlier rather than later! God bless those children’s Daddy (and Mom) that he would feel so deeply about the importance of his children’s abilities to handle finances wisely, that it would bring a tear to his eye. Thank you for your kind words, MK. And yes, so much better to teach them earlier than later. “Later” often comes with much needless pain and regret. My husband and I took this approach when raising our daughter (now 25). We viewed training her in biblical financial management as a key part of her overall discipleship, and a key responsibility for us as parents. As with your children, from a young age we gave her an allowance and she was responsible for giving and saving (and was generous in both categories), along with a modest amount of ‘fun money’. Starting in junior high, each year on her birthday we increased her allowance (usually substantially) and added another category of spending that she was responsible to cover out of that money. We started by adding all of her entertainment money (to go to the movies with friends, out to eat after sports practice or when at an away match, and so on), and in ensuing years we added clothing; miscellaneous items such as makeup, shampoo and other toiletries, decorations for her room; gas/transportation; and other categories that were age-appropriate. It became a highly anticipated ‘run up’ to her birthday as she tried to guess what her new category would be and how much her allowance would increase to compensate! By the time she graduated from high school, her financial responsibilities included pretty much everything for her needs/wants with the exception of housing, groceries to eat at home, health care, and family vacations. It was fun to listen to her chatting with her friends – they were amazed by the size of her allowance ($350 per month by the time she graduated from high school), but she was always quick to point out all of the things that she had to buy for herself! We also had her run the family budget (and checkbook) for three months during her senior year of high school – handling all of our expenses (with supervision, of course! ), including writing checks and setting up online monthly bill payments for utilities and other expenses, entering receipts and managing our budget ledger. THAT was an eye opener for her! And it was great accountability for my husband and me, as we were very aware that this step was in our plans for her discipleship and we wanted to be good models for her at that stage also; this helped us sidestep some potentially bad choices when we considered how it would look to her when she was managing our accounts! She has become a very good money manager – good at avoiding impulse spending, shopping around for the best prices on things, waiting for sales on items she is considering, saying no to social opportunities that don’t fit with her budget…all the things we need to do as adults in order to manage money responsibly. As you can probably tell, we believe in giving allowances as well as requiring chores, but not tying the two together. (We know this is an ongoing debate that parents struggle with!) We believe that all members of the family are entitled to have their needs met via the family income (whoever is earning that) and all are responsible for contributing to the smooth running of the household through doing chores. 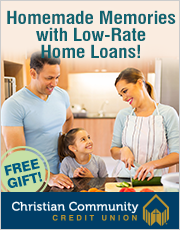 Just as a homemaker who doesn’t work a paid job outside the home is entitled to funds to spend and is responsible for contributing to family operations, we believe the same for children. It has all worked out very well in our case, and we recommend this approach to others when asked. Wow, Karen, thank you for this detailed account of your approach! I like your reasoning behind not tying allowance to chores, but to the actual financial choices and responsibilities. What are your expectations and rewards and consequences for doing or not doing chores? Karen – Thank you for sharing all of this detail about how you helped teach your daughter. What a great plan! I especially like how you eventually had her paying household bills—and how that helped her and YOU. This shows a really helpful progression of responsibility. I can’t help remembering how clueless I was when I rented my first apartment. As various bills came in, I soon realized I had overspent and had to switch to a studio. Your plan lays out some nice guidelines for helping parents send their kids off into the world well prepared. Thanks again.